"We would like to express our profound gratitude for the public’s continuous support for Coke Studio. However, the safety and security of our audience is paramount. After careful assessment and request for the public’s cooperation, COCA-COLA Philippines together with PNP, SM, THE CITY OF PASAY, AND ALL OF THE ARTISTS, we have deemed it necessary to reschedule the concert to a later date. We apologize for any inconvenience this causes to everyone." 1. Kung paminsan-minsan lang, walang problema. 2. Marami namang natutulungan through their charity, outreach, support of local artists, and other CSR programs. 3. Masarap at mura eh, Yung healthier options ay mahal. More and more people should realize there are better options out there. Sabi nga nung isang organic food restaurant owner "Ask not why organic foods are more expensive, but ask why junk foods are cheap." He has a point. Our health is vital to our survival. Thus it is but right to invest on our health by spending more. Eventually naman kasi, if the demand for healthier alternatives increase, the supply will increase, more stores will start selling more healthier options, and to be competitive, prices will soon go down. We will make the healthier options eventually affordable if we start patronizing them more today. Argument: Tell that to poor people who barely survives every day. They would first think of how to live and the cost of the food that they will buy. 1. Promote agriculture more and support farmers. 2. Give government subsidies and tax incentives to healthier foods. 3. Increase taxes on junk foods. Government plays a key role here para mas mapabilis ang mga bagay-bagay. Pero kung magiging mas mapanuri ang mga tao mas mura kesa sa mga fast food yung ulam na mongo at malunggay =) saka hindi mostly poor people ang tumatangkilik sa fast food, siguro yung mga street food yan ang pagkain talaga ng mahihirap. Not sa fastfood pero sa mga chichiria na junk food and sa softdrinks and other stuff usually mga low to middle income ang tumatangkilik. Pero, kahit naman maggulay tayo contaminated pa rin sya ng pollution, fertilizers and pesticides. At teast the veggies are still better than junk food. Have you seen the viral video about Shawarma Shack? Oh di ba... Wala namang 100% clean eh. We should not expect everything we need to be provided by the government. Sabi nga nila, huwag iasa lahat sa gobyerno. Our politicians may have their own agenda and ulterior motives, but that is another story to tell. Let us focus more on our own capabilities. As bloggers, we can make use of our own influence to make a change for the better. If we all combine our efforts, we will be stronger. Huwag tayong mawalan ng pag-asa thinking it is senseless to go against the giants. We are not alone. We just need to be courageous enough to voice our concerns and others will follow and emulate our acts. The government does play a vital role, but that is another door to knock on. For now, we could incorporate in our activities an effort to promote the healthier alternatives. For example, at your events, reach out to organic food suppliers as sponsors instead. Mind you, not all fast foods are junk. Example is Rufo's Famous Tapa, their Pinoy foods are well-deserved of praise. They also sponsor events, big and small. EarthOrigins Westgate Alabang is a great market and cafe that promotes healthy living. Voted as among the Pop Talk Paborito favorites ever featured on the GMA News Channel show. I'm sure there are more out there. Di ako nawawalan ng pag-asa my point is for it to be done faster and on a wider range. Change should come as a revolution. We can do our part but it would be better if the powerful would be involved or we can be in government. Let us put ideas into actions and influence more people faster. David D'Angelo Madalas kasi ay reactive ang government. If they can see more people advocating for healthier alternatives and going against junk foods, then they may notice us, and implement their own initiatives. Like my visit in Negros Occidental, the Governor there is an advocate of organic foods. I attended their Organic Farms Festival and even interviewed a speaker and a mushroom grower. Unaware lang tayo sa moves and programs ng ibang LGU, but happy to inform you that there are like-minded individuals championing for the healthier alternatives. Kaya nga ako pinapabalik sa Negros, to advocate for community-based tourism focusing on micro-entrepreneurship or communities with their own businesses, rather than having foreign and commercialized brands penetrating the provinces and taking the opportunities away from the communities. Sustainable eco-tourism will only happen if it directly involves the community. It was meant to be, because we all know that the product is not a brand that we should support. They corrupt our minds with lavish campaigns and giveaways, massive line-up of artists, numerous ads and commercials, popular endorsers and celebrities, but in the end, we all know that the product is nothing but junk. If you support any of their products and sponsored activities, then you are worst than JUNK. ...nothing but a desperate low-life who would go so low as support even the worst products in existence even if we are aware that it ruins the health of the people. No matter how many advocacies, CSR or outreach programs they would sponsor, or how many jobs they create, and how many workers they employ, nothing will change the fact that they are the makers of the number one source of obesity. This incident is a miracle from above. Prayers answered. If Coke is junk and bad then same goes to many things like fast food including Jollibee, McDonalds, Wendys, etc. There are tons of source of obesity including not exercising too and having a bad lifestyle. I drink Coke at times and what is bad perhaps is just too much of it. Coke employs people and gives jobs. It is bad if you take too much. 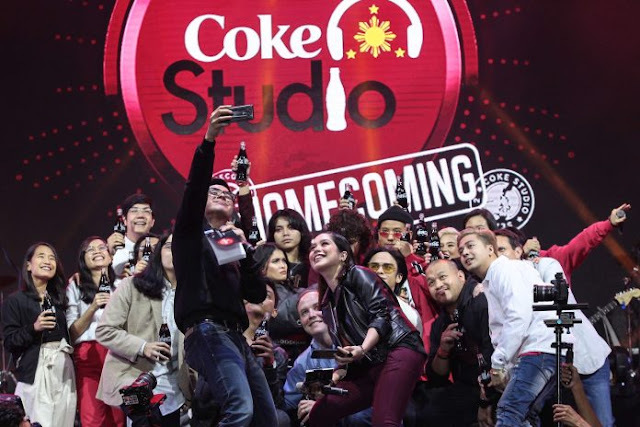 Coke should still be lauded because they are one of the few who supports local artists and wants to promote them in an overwhelming sea of foreign artist promotion. Are there good products who does that? Malungkot ako kasi sayang at hindi mapromote mga OPM artists and for that we should support the artists even not the product. It is like saying the gun is not the one that kills but the person pulling the trigger. But let me ask you this. If there are better choices around that are as affordable as softdrinks, then would you pick the better choices? If given a choice between a fresh lemonade and a carbonated drink like a softdrink, it is obvious what I will pick. If more and more people will pick the better choices, more and more jobs will be created to further grow and produce the fresh lemonade. Thus it will also employ more people. If these companies have enough earnings just like Coke, then they can also support local artists, and others. In other words, if we only support the "better" products, it can do the same capabilities as Coke. If we discourage people in using the bad products, then we also help in shaping the world into a better place. Make more room for the better choices to compete against the junk products. It will take a lot of will to change things since Coke is successful worldwide. If these things are bad for people then the best way is for the government to ban them outright just like cigarettes. If these things can kill why make them legal in the first place? Let us not go far.... Ask the same question with political dynasties and excessive pork barrel funds...or aligned with products, how come cigarettes and tobaccos are still for sale when it has been confirmed to be bad for you. I guess everyone knows the answer to the question.. many have just been brainwashed by the lavish ads, campaigns, endorsers and seemingly numerous advocacies Coke runs. But like I said, no matter how many good things they do, their product remains as JUNK and harmful to our health. Same goes to all junk food like Piatos, Mang Juan, Tortillos, etc. So should we all stop buying them then and go for an all healthy and green living? That would be great if we can all then rebuild agriculture and produce healthier products. Yes, I have the same sentiments against everything you mentioned, including the fastfoods. If we all go Green, we would not only be healthier but also help our communities grow. Most of the brands that produce junk food are foreign brands or inspired by foreign brands and products. If we all go for fresh fruit juices, organic or natural and fresh foods, etc., the demand will increase, more farmers will plant fruit bearing trees and vegetables, root crops, etc.,, more jobs will eventually be created to produce, market, deliver, etc. these fruits and veggies, and these companies will be as big as Coke and able enough to do the same advocacies. Doing good creates ripples of good as well. So let us start encouraging people to make the better choices. Forget about the cheap softdrink and invest on our health instead to further invest on a better future for us and the next generation. Hindi dapat tayo maging politiko na lahat na lang ay kaibigan kasi daw ay may pakinabang naman sa lahat. Piliin natin ang tamang suportahan. It will take some kind of legislation to make this happen otherwise it will remain as ideas and a utopian wish. People cannot be forced to buy healthier options since most people earn below minimum and they would buy cheaper options than go to more expensive food. It will take a political solution to make this happen and a strong one. We don't need politicians or a law to tell us that we should live a healthier life. Kaya nga kapag walang choice to drink, water na lang or hihingi ako nung calamansi na dapat sawsawan para gawing calamansi juice. Pipigain ko lang sa tubig at magic..may healthier drink na ko. If you really want to be healthy, discipline is the key. If we really want a healthier society, advocate against the junk products like Coke. Every little move you make will eventually grow bigger if you can convince people to follow. Kaya nga nagsara na yung ibang plants ng Coke kasi more people are recognizing these facts. Kaya nga nagsara na ang ibang print at radio media outfits because brands have realized it is more effective to promote online. In short "If there is a will, there is always a way." "Kung ayaw, maraming dahilan. Kung gusto, laging may paraan"
Well people would not do that on their own. Masarap ang mga foods na yan eh. I have not given up on my fellow men. If we continue to discourage people in drinking softdrinks and other junk foods, we will be heard. Kahit Isa lang ang makinig everyday is enough for me. Eventually, all our efforts will soon be realized as a noble initiative. Huwag mawalan ng pag-asa. We are all basically good. We can do better. If you told me something today, I may listen but not immediately follow. But if I hear you saying it over and over again, I may consider trying it out. Parang billboards lang yan. The bigger and plenty you have, the more it gets to be familiar and recognizable to people. You won't even realize that it unconsciously makes you think otherwise. So, in short. ..persuading people to choose better options may not happen overnight, but it will happen if we have the persistence and if we do the necessary actions to make it happen. Lalambot din yang matigas na karne eventually kapag nagtiyaga lang tayo pakuluan...or if we think smarter, use a pressure cooker. Alam ko na softdrink companies like Coke and Pepsi are too big to match. But if everyone is really concerned about their and the next generations' present and future, then we should act correspondingly. In the end it is also a marketing against their product. If super sama talaga ang softdrinks it could have killed many by now. Let us just make informed choices kasi if we want to go healthy living then most of the restaurants like burgers and stuff that we go should also have to shutdown. Well mahal naman talaga ang healthier options and majority of Filipinos cannot afford it and that is factual. David D'Angelo I've already mentioned the reasons why more expensive ang healthier options. The right question to ask is "Bakit mura ang junk foods?" If you can answer that question, then you'll know the reason why mas mahal ang healthier options. But as demands increase, the need for supply will follow, more stores will sell the healthier options, creating more jobs and more competition to eventually lower prices, and our rewards would be a healthier us, family, community, country and world. Sunod-sunod na improvement if we just start now. "On December 07, 2018, the Coke Studio Concert organizers, Philippine National Police, the City of Pasay, and SM Mall of Asia decided to reschedule the Coke Studio Christmas Concert to early next year to prioritize the public’s safety. Again, we thank everyone for their understanding and their continued support." Even if they will reschedule the concert, I urge everyone not to attend. If you truly love yourself, your family, loved ones, and the rest of our fellow men, never patronize their products or events. Let us show the world that we want a better future. Let us show Coke that we don't want them to pollute our bodies. Ask yourself "Why and how is Coke giving a concert for free?" There are underlying reasons why and how, and if you are smart enough you would find it logical to stay away.